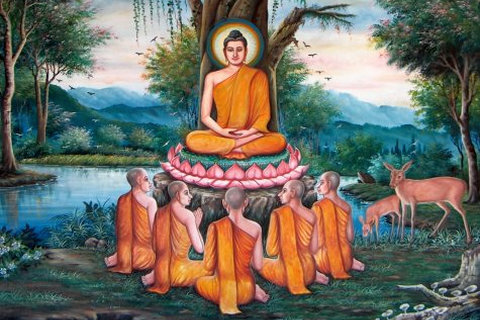 The Buddha taught that there are three kinds of happiness. The first type is the happiness that comes from sense-pleasures; comfort, beauty, nice music, tasty food, pleasant smell; anything that excite the senses – sight, hearing, smell, taste, touch and mental stimulation. Happiness from sense-pleasures is not lasting. After a short while, we get bored and become hungry for something else that is new and more exciting. In addition, it leaves us feeling tired and sluggish. The second type is the happiness that comes from achievement. When we achieve something that makes us feel proud, we feel special and excited. We have become ‘somebody’. We are respected and praised. However, the feeling of pride, respect and praise brings out the ‘control freak’ within us. We tend to think that we are the only one capable of doing anything and end up spending late nights at work. We become highly irritable because we feel more important that everybody else. Others do not seem to be able to live up to our high expectations. We begin questioning why we are surrounded by others who are not as intelligent as we are. Every little thing irritates us; we find fault with every single thing in our life. The only happiness we find is when we achieve more; thus putting more and more pressure on ourselves. Achievement becomes a never-ending addiction. One could argue in favour of these types of happiness. Without the happiness of sense pleasures, life would be dull. Without the happiness of achievement, there would not be progress. However, if we are honest with ourselves, we can also see the problems that come with these two types of happiness. Both kinds of happiness make us crave for more just like drug addiction; we become addicted to stronger and stronger drugs. People addicted to sense-pleasures suffer from boredom easily. In addition, the second type of happiness, the happiness that comes from achievement, brings with it mental pressure and the false perception that we are more important than everybody else. We can also see how the happiness that comes from achievement can take away the joy of meditation from us. We seek after mystical experiences and when we do have some of these experiences, we yearn for more. We hear others speak about the blissful experiences they had and we start to chase after them. Instead of bringing calm and understanding, our efforts to meditate ends up becoming a stressful race against time. It becomes like work. That is why I often remind my friends to give up the need for more of these mystical experiences and just rest in the pure joy of tranquillity. When meditating, we should just forget about all those blissful experiences we heard about or had before, and just tell ourselves that we merely want to rest in silence; that is all. If meditation seems like a chore, then it is good to check if we are trying to derive the ‘happiness of achievement’ from it. These two types of happiness are neither good nor bad. There just need to be some balance in our life. There is no need to think about how much of these types of happiness are appropriate. It is different for everyone. We will find our own balance and eventually, let go of them at our own time and pace. The third kind of happiness, the higher kind, is on the other side of the coin of the first two types of happiness. It is the happiness of letting go. It is the happiness of letting go (not suppressing) of sense-pleasures and of the desire of becoming special. This higher happiness comes to us naturally as we evolve; and this is the good news. As we experience life, we begin to see that although the first two kinds of happiness can bring excitement into our life, they can also bring suffering. The happiness that comes from letting go is akin to putting down a heavy burden and allowing our arms to relax for the very first time. Because we have been carrying that burden for a very long time, we do not know that we were suffering all these while. The burden was just ‘normal’ because we have already gotten used to carrying it. Only after putting it down do we realise the joy of letting go. Similarly, the happiness that comes from letting go can be felt when we discover the gap between our thoughts for the very first time. Before that moment, we have been so caught up with our thoughts and the only way we could find happiness was to ‘think positively’. Then one day, as we calmly watch our thoughts, we notice that there is a space whenever one thought falls away and before another thought arises. As we continue to look at that space, we feel our mind relax and become peaceful. Our thoughts are the sense-objects of our mind in the same way as a beautiful picture that we are looking at is the sense-object of our eyes at that moment. We can be very attached to our thoughts. But the moment we discover the beautiful silence between our thoughts, we begin to let go of ‘thinking’ and just enjoy the inner-silence that is truly refreshing. Our thoughts leave our mind feeling tired but the silence moments energise it. Ajahn Brahm wrote, “It would be marvelous for each one of us if we could abandon all inner speech and abide in silent awareness of the present moment long enough to realize how delightful it is. Silence is so much more productive of wisdom and clarity than thinking. When one realizes that; silence becomes more attractive and important. The mind inclines toward it, seeks it out constantly, to the point where it engages in the thinking process only if it is really necessary, only if there is some point to it. Once we have realized that most of our thinking is really pointless, that it gets us nowhere and only gives us headaches, we gladly and easily spend much time in inner quiet”. The happiness of letting go does not come from suppressing our desires; it comes from understanding. This is its beauty. As we progress through life and experience the duality of the first two types of happiness, we let go naturally. 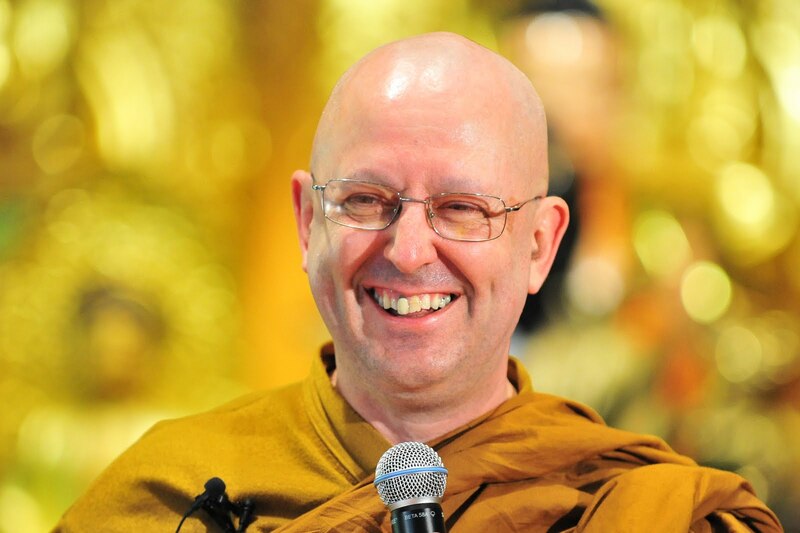 Ajahn Brahm said that happiness does not come from winning but from losing. One may miss a promotion and realise that it is not as bad as fist envisioned; and when one gets the promotion later on, the dysfunctional habits that comes from the happiness of achievement may not be as heavy. When we see that we are more energetic when we do not over-indulge in sense-pleasures and spend more time alone in silence, we naturally let go of the need to satisfy our sense desires. It comes naturally and there is no need for suppression. This is what renunciation truly means.